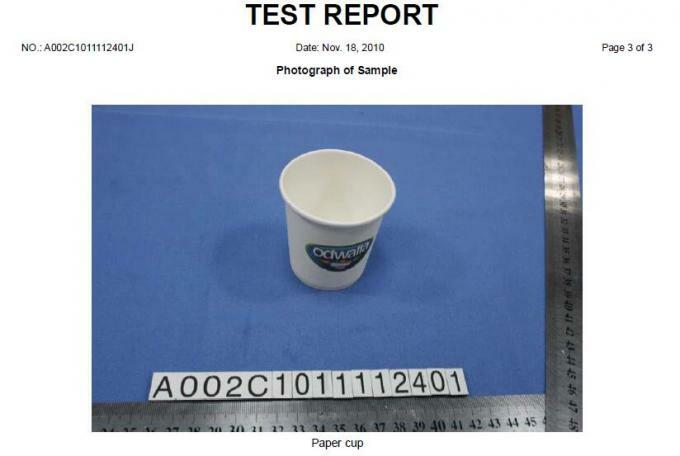 And FDA,BV or SGS to testing our products. 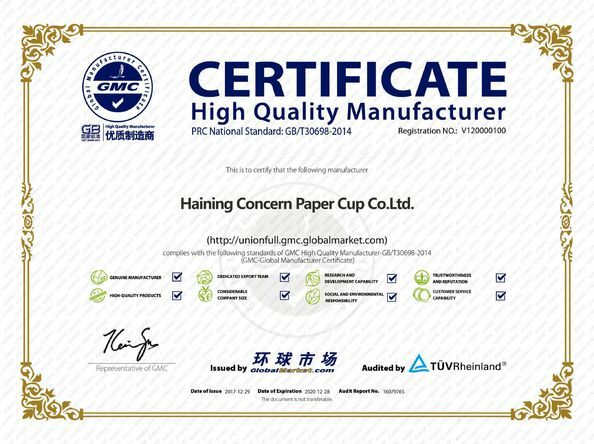 And also Haining Concern Paper Cup Co.,Ltd has his own laboratory to test the products. 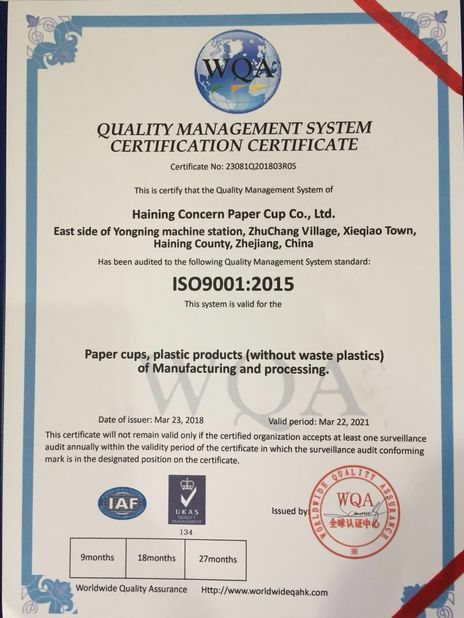 Haining Concern Paper Cup Co.,Ltd support any kinds of the testing for our products.